There is a dedicated, diverse music and dance scene in Fremantle. Appreciate the dazzling arts of the many talented buskers on the streets of Fremantle. 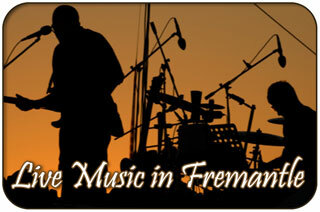 Enjoy live music every day of the week, in the numerous fantastic bars and hotels, each one friendly and interested in helping you to enjoy your time in Fremantle! FREO is alive and vibrant throughout the week, but at the weekends it really is pulsating with crowds of happy humans who come out to enjoy life and socialise. Join in at a dance, music event, festival, market, show, performance or top class concert. 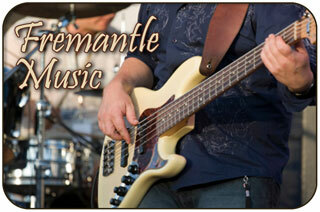 Learn to perform or learn to play a musical instrument right here in Fremantle...you can participate at any level. Live Music Daily & Nightly! A celebratory atmosphere is all around as you stroll through Fremantle. Watch the buskers perform outside the Fremantle Markets, take a stroll in Esplanade Park, wander around the vibrant Fishing Boat Harbour, stop for lunch on the bustling Cappuccino Strip, meander through the Markets, shop in the unique boutique stores, have a cold beer in the pub, have a swim at one of the beautiful beaches... and listen to the music of Fremantle all around you. Fremantle boasts a vibrant live music scene with many local performers and venues. 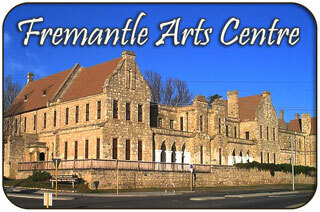 Popular live music venues include the Fremantle Arts Centre, Mojo's, Clancy's Fish Pub and The Fly By Night Club, all of which host local and touring performers. Bon Scott, lead singer of the Australian rock band AC/DC, lived in Fremantle as a boy. His grave site has become a cultural landmark. In 2009, a statue of Bon Scott, was erected at the Fishing Boat Harbour. Bon Scott was actually born in Kirriemuir, Scotland, but his family moved to Australia when he was six and to Fremantle when he was ten. A Bon Scott Statue was also unveiled in his in Scottish Hometown in 2016. In the July 2004 issue of Classic Rock, Scott was rated as number one in a list of the "100 Greatest Frontmen Of All Time"
Singer-songwriter John Butler (frontman of the John Butler Trio) lived in Fremantle during his teenage years, and he started his music career busking in the city's streets. Former John Butler Trio member Gavin Shoesmith is also based in Fremantle with his band The Groovesmiths. The band is recognised for its unique style and awe inspiring live performances, blending strong elements of Reggae, Jazz, and Hip-Hop into traditional Blues and Roots music. The Waifs, Little Birdy and Eskimo Joe all have connections with Fremantle, and belong to what has been dubbed the 'Freo Sound'. "The Waifs are an Australian folk rock band formed in 1992 by sisters Vikki Thorn and Donna Simpson as well as Josh Cunningham. Their tour and recording band includes Ben Franz and David Ross Macdonald." "Little Birdy are an Australian indie rock band in 2002 by Katy Steele, Matt Chequer, Simon Leach and Scott O'Donoghue." "Eskimo Joe is an Australian alternative rock band that was formed in 1997 by Stuart MacLeod, on guitars, Joel Quartermain, on drums and guitar, and Kavyen Temperley, on bass guitar and vocals, in East Fremantle". This music scene, and that of neighbouring Perth, were explored in the 2008 documentary Something in the Water. "Using live, archival, and interview footage it explores the history and environment behind the development of local and nationally acclaimed musical talent in Western Australia." "Maybe there's something in the water, maybe it's the isolation from the rest of the country, but there is definitely an upwelling in talent from this city by the Indian Ocean." Mick O'Donnell. 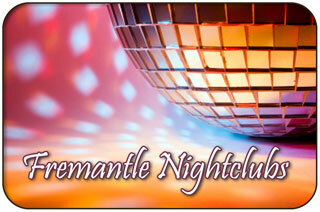 Kavian from Eskimo Joe talks about Fremantle not only as the place where he lives but like it's one of his friends." "Little Birdy's lead singer Katy Steeles from the famed Fremantle family is sister to Luke Steeles, lead singer in The Sleepy Jackson." 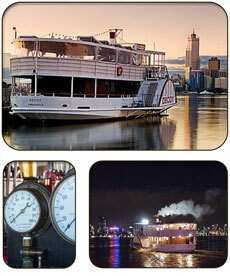 WA built Paddle Steamer Decoy is an iconic entertainment venue cruising the Swan River for over 25 years! PS Decoy, a historic steam powered paddle ship, provides river cruises along the Swan River showcasing a wide variety of live music from WA musicians- jazz, strings, reggae & more! Believed to be the only steam powered paddle ship in the Southern Hemisphere the decoy is delighting Australians and friends from abroad with old world charm & elegance. Enjoy locally made beers, cider and wines from the licensed bar and Tapas styled food from the kitchen! Not suitable for very young children. The Decoy was built in Fremantle, WA in 1986 as a replica of the original steamer, which toured the Swan River back in the 1870's. For latest events, acts, schedules and ship-shape news go to our website. The City of Fremantle Symphony Orchestra, which started in 1961, is a non-profit community orchestra with approximately 60 amateur musicians. 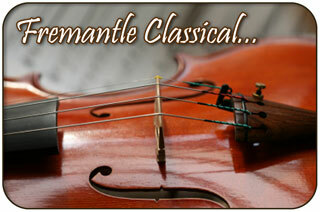 The Orchestra performs around 5 concerts every year both locally and further south. The 2014 season celebrated the The City of Fremantle Symphony Orchestra's 50th birthday. New membership enquiries are always welcome. "The Fly By Night Musicians Club is a an iconic venue which has a rich history of musicians, actors, comedians, and even circus performers who have showcased their talent on the Fly's stage over the last 20 years with local, national and international artists performing at the club. The Fly by Night Musicians Club is a not for profit community musicians club and music venue located in the heart of Fremantle. This building now run by the National Trust of Australia was originally constructed in 1895–96." The Fly has provided a launch pad for many local bands since 1986 including some of WA’s biggest exports… John Butler Trio, The Waifs, Eskimo Joe, San Sisco, The Panics, Tame Impala, End Of Fashion… and many more who have started off their careers with the assistance of the clubs facilities. The Fly is situated in the majestic Victoria Hall Building in the heart of Fremantle hosting 280 guests in the Main Hall." From October to March, every Sunday afternoon, this free outdoor community event is well frequented. There is a great live music line up of local acts and touring artists. This is a wonderful family friendly venue. Relax in the shaded grounds with a picnic lunch or pick up lunch from the cafe as you enjoy the music and company. Hidden Treasures will light a spark in your winter night with music, yarns, and shenanigans. Every Thursday night in July! Freo Royale brings the Fringe to Freo: Feb 100 shows, 10 venues promoting Cabaret, Theatre, Comedy, Music and Art. Kings Square Common transforms into the hub of the festival with a pop-up bar, delicious food and markets. 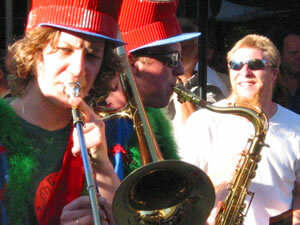 The West Coast Blues 'n' Roots Festival is an annual music festival held in Fremantle, Western Australia. It features many blues and roots performers, both international and local. 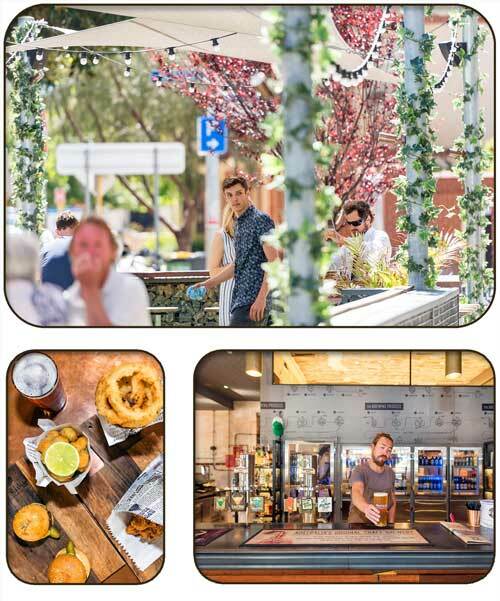 Fremantle's Pubs, Breweries and Licensed hotels are among the best in Western Australia. The port city has the best draughts from around the globe as well as the tastiest brew from right here in Fremantle. Kick-back with friends & family or catch up with business associates on the banks of the Swan River! Enjoy outdoor dining, a casual meal in the courtyard or indulge in the comfort of the restaurant at this iconic venue. Unwind to the live sounds of Perth's most up-and-coming musical talents with 'Acoustic Fridays'. Our friendly and passionate team are delighted to guide you through our ever-evolving menus, with fresh local ingredients prepared with care and passion. The bar has a great choice of local craft and imported premium beers on tap and popular and premium wines. We offer 83 well-appointed, spacious rooms, suites and self contained apartments to suit business and holiday travellers. 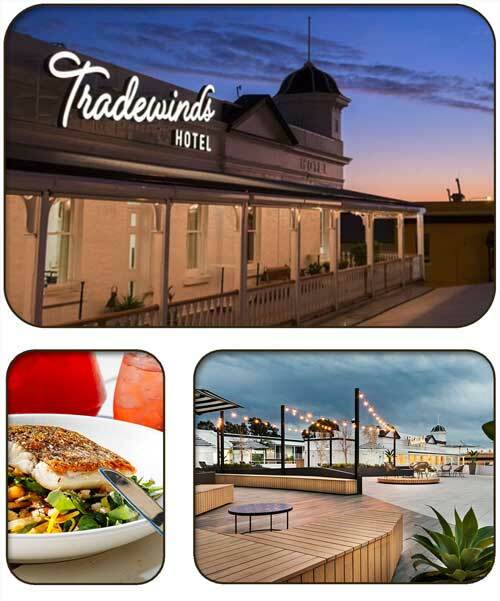 Fremantle and Perth’s biggest rooftop terrace with spectacular Swan River Views available for functions and events plus a choice of 7 function rooms. 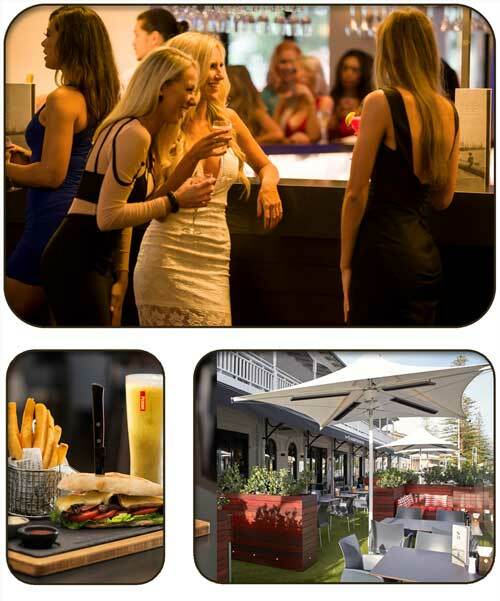 Open 7 days a week, Marine Lounge Bar is the perfect spacious and stylish spot to chill out in the heart of Fremantle. Step in for a coffee and bite to eat, or stay to enjoy the extensive range of wines, beers, spirits, cocktails, aperitifs and champagne by the glass whilst taking in the fresh air and beautiful park views on Marine Terrace in Fremantle. With its team of energetic staff, this spacious and stylish bar is the perfect spot for guests entertainment, corporate clients to catch up on emails and/or meet up with workmates for Happy Hour every day from 5pm. Feeling peckish? The Marine Lounge Bar is home to WA’s best steak sandwich which we recommend every visitor to Fremantle must-try this award-winning dish! For something lighter yet comforting kind of food, try our all times favourite Spicy WA cuttlefish or Tiger Prawns Pizza specially made for sharing. This historic pub is one of the most important sites in WA – it housed the first convicts to arrive in the state. The Ball & Chain – off the grid & on the corner! There is always something happening at the Ball & Chain. So lose the excuses and get on in; you will be blown away with the décor, amazing team, WA’s widest range of Matilda Bay craft beer and extensive whiskey and spirit collection. Winter or Summer… the Ball & Chain is the place to visit in Fremantle. Enjoy Matilda Bay craft beer on tap. We’ve brought this iconic brand back to its home town of Fremantle in a big way, 31 years after its inception. Step into Bourbon Street – a stylish lounge area with floor to ceiling shelves loaded with the best range of whiskey brands from around the world. Feeling peckish? Our Pub Grub Menu has been hand selected to perfectly accompany your favourite craft beer or whiskey. Choose from a range of tasty food or gourmet snacks! 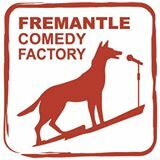 The Little Creatures Loft hosts Fremantle’s only Saturday night comedy show. Featuring local, national, and international comedians. Open Mic Comedy Night every Thursday at the Sail and Anchor. 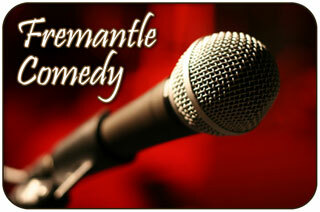 Check out WA’s up and coming comedy talent! Street performance or busking is the practice of performing in public places, for gratuities, which are generally in the form of money and edibles. People engaging in this practice are called street performers, buskers, street musicians, minstrels, or troubadours. Street performance dates back to antiquity, and occurs all over the world. Visiting us on your iphone or iPad? Thanks for visiting Fremantle Western Australia! Follow us on Pinterest for photographs & photo-news from Fremantle, WA!